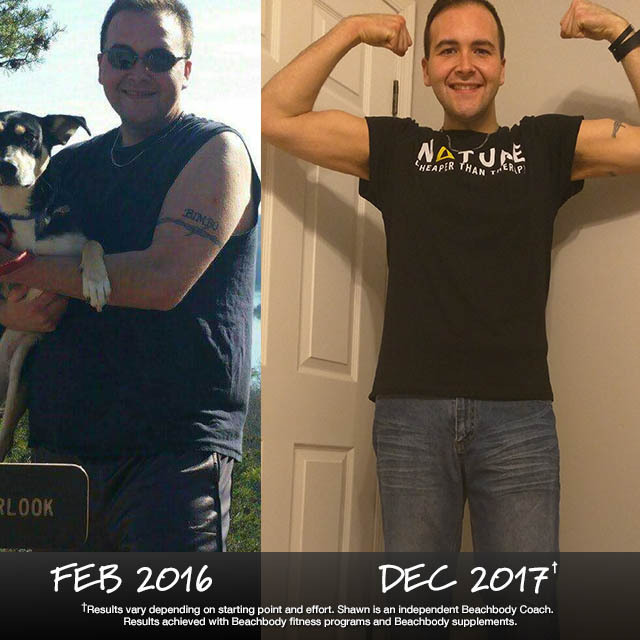 In less than two years, Shawn transformed his body and the quality of his life. It all started with a simple decision and the commitment to see it through. He says: “Signing up for Beachbody was the best decision I’ve ever made! Me and some friends decided to make it a group effort and knock it out together. On Day one of the workouts, I thought I was going to die. But now, almost two years later, I feel amazing! This single father of two had a hard time keeping up with his kids. 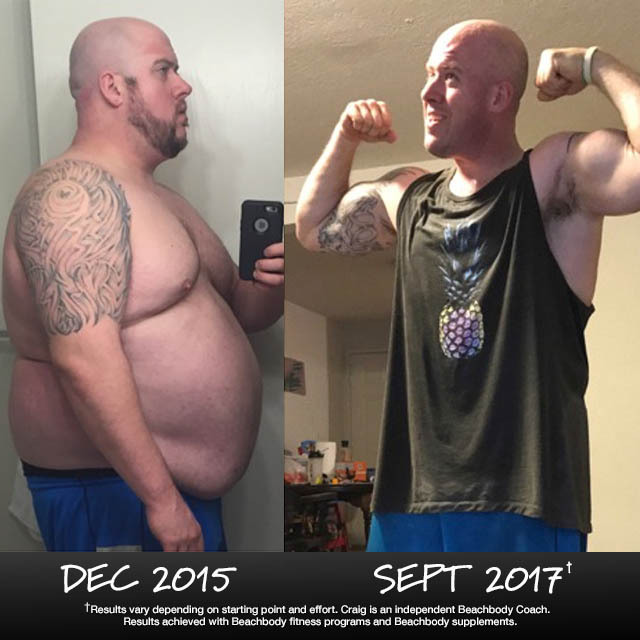 But, over the last two years, Craig has been working hard to transform his body from the inside out, losing over 130 pounds, and his kids have definitely noticed. He says: “Being a single parent, I don’t have the time or resources to go to a fitness center or gym. Beachbody On Demand has been more than affordable and makes it easy for me to squeeze in my workouts any time of the day! There’s a program for everyone and modifications for any level. The trainers are knowledgeable and very motivating. Starting at over 300 pounds, Michael says he could barely walk to his mailbox without stopping to catch his breath. 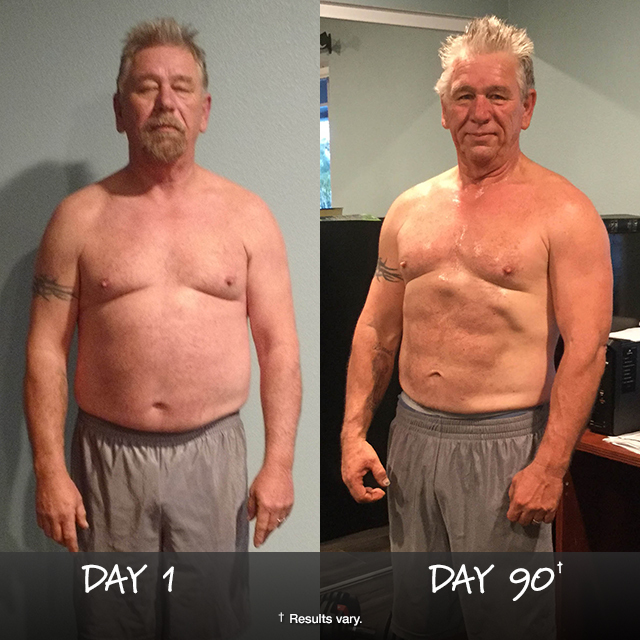 But, the quality of his life has vastly improved over the course of this nine-month transformation journey, thanks to a simple nutrition plan and workouts on Beachbody On Demand. 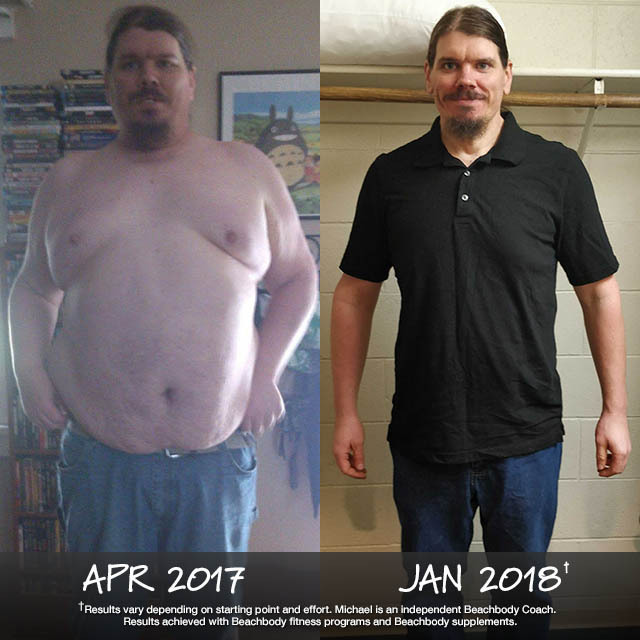 He says: “Before starting with Beachbody, I was your average overweight software developer with a sit-down job, a myriad of health issues, and a general lack of energy to do anything about it. I wasn’t sure how to start the changes I needed to make, but I knew I needed to make them. That’s when I found an old high school friend who invited people to join his Challenge Group, and I went for it. I didn’t have to go to the gym and pay for a trainer to give me a routine and nutrition plan. I just log into BOD, pick the program I am doing and run with it! 21 Day Fix is a great entry-level program that tells you everything you need to do in order to get results. The portion fix containers, Shakeology, and the workout routines are really simple, and if you follow them, you get amazing results. After completing 21 Day Fix, I moved over to Hammer and Chisel, and later, Body Beast. At age 56, Allen was inspired by his daughter and Beachbody Coach, Trishia, to get started with Body Beast. Check out his stunning results after just 90 days — hello, abs! He says: “I haven’t looked back since that first day of Body Beast. This program was my ticket. It’s old school, like me, with the newer stuff put in. It’s like working out with a group of workout buddies every day, and the intensity pushes you harder and harder. It has transformed my old man body into something I am proud to say is no longer an old man body. I have visible abs!